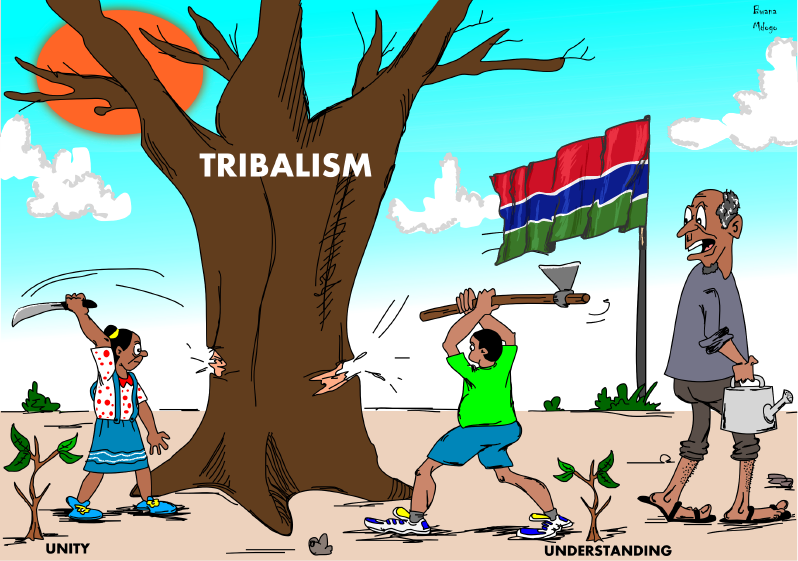 Tribalism? This can be defined as “the behavior and attitudes that stem from strong loyalty to one’s own tribe or social group”. As a result, the tribalists have disdain for and often disrespect the tribes they think are inferior to theirs. Such people, therefore, discourage association in any form be it marriage, work or friendship with tribes they deem to be inferior. The first is history, as many a tribalist traces the perceived superiority of their tribe to ethnic lineage. They will recount how their forebears defeated the other tribes in a war or a series of wars, or sometimes how their forebears enslaved the other tribes. Such people take pride in their history and no amount of persuasion can make them to see today’s reality. They believe that since their ancestors were “better” than the other tribes, so also are they now. Another reason for tribalism is geographical location in relation to national resources and power. By this we mean that tribes which are endowed with abundant resources and opportunities often tend to disrespect people from other tribes who come to seek work on their land. Similarly, tribes which have the seat of power tend to think that they are better than others, and sometimes look down on them. The above mentioned have been aggravated by politics. It is sad to say that most politicians either publicly or privately try to encourage tribal sentiments for their own selfish interests. Among the effects of tribalism is that it breeds nepotism. Once people feel that their tribesmen are better than people of other tribes, they tend to surround themselves with their tribesmen when they get into positions of trust. Often tribalists are willing to hire people from their own tribe who may not otherwise be the best candidates for a given job. Such actions deprive the nation of the right people for the right job.We hold these truths to be self-evident, that all men are created equal, that they are endowed by their Creator with certain unalienable rights, such as the right to life, liberty, and the pursuit of happiness. I wish to see all Gambians continuing living as a family, where the joking relationship buried the menace of tribalism, for The Gambia our homeland one people, one hearth, one Tribe, one family, and one Gambia!! May thunder and lightning split on all tribalists, may evil spirit take away all tribalist to Jupiter, Ameen! !